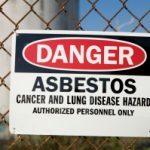 It has been confirmed that Asbestos was discovered at the Kuranda building site after it was shut down amid health concerns of 15 trainee tradesmen. The State government is considering handing out fines to the parties responsible. A spokesperson for Workplace Health and Safety Queensland said the presence of the deadly building material was confirmed by testing at a National Association of testing Authorities lab. The safety board stated that they are considering action against the applicable duty holders as a result of health and safety breaches. Reports indicate that action could be handed out in the form of a fine as well another prohibition notice to further restrict work at the site. The board may also demand that safety practices be improved at the site. The site in question was issued a stop-work notice on Tuesday and has been closed since. Executive officer for Ngoonbi Co-operative Society, Lionel Quartermaine has yet to comment on the discovery but has previously stated that a qualified worker who was working with the trainees was unaware of the potential threat. Jobfind Centres Australia’s general manager of Queensland Operations, Stewart Williams stated that the co-operative society informed them an inspection had been performed on the house and was subsequently deemed safe to refurbish. Jobfind job seekers attempting to receive a Certificate II in Construction training, have been relocated to another work site. Work Health and Safety Queensland continues to investigate the incident.